Here’s a quick video I put together that shows how I flush Rowaphos – proper flushing with purified water is vital to efficient use of this media. It happens to every aquarium owner eventually. You decide you are going to go on a vacation or leave home for a while. 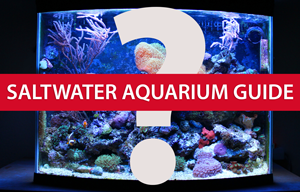 What are you going to do with your aquarium? There is an easy way to cure the live rock during the aquarium setup process, without having to use another separate aquarium or curing tank. Living in North Dakota, I get the privilege of having to keep aquarium fish alive when biting cold winds are blowing through windows and walls.